Although I’ve had the pleasure of using an Apple TV these past few months, I was immediately sold on the Roku 3. 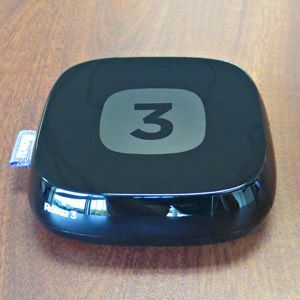 You can read more about the product (and whet your appetite) in Danny’s Roku 3 review. For me, it was the combination of on-demand media and easy access to my own extensive media library that made Roku’s case, not to mention an attractive price tag. In fact, I mostly use the Roku 3 as a top-up box for my Plex media center. The only problem I’ve encountered so far, is Roku’s meager support for video formats. Officially, the Roku 3 only supports H.264 MKV and MP4/M4V video, meaning that’s the only media recognized over USB and Plex‘ Direct Play. Luckily, this is not as dramatic as it sounds. 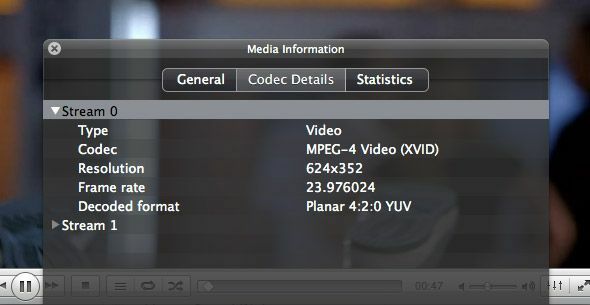 Most recent media found on the web is released in H.264 MP4 (standard definition) or MKV (high definition). The only issue is finding a way to play back your old media on the Roku. Before H.264 MP4 became the norm, AVI files were everywhere. Chances are, most of your old Roku-incompatible files are AVIs. Luckily, there’s a workaround that doesn’t require you to completely convert all of your AVI files. A lot of AVIs use an MPEG-4 Video (XVID) stream. This has to do with how the video is encoded. Officially, Roku only accepts videos with an H.264 video stream. Unofficially, Roku will also play MP4 files with MPEG-4 video. This means that we can put the video in an MP4 container, without really converting it, and it will play on the Roku. This process is called remuxing and it cuts down on conversion time incredibly. On a decent computer, it’ll only take a minute or two from start to finish. To remux our video, we can use Avidemux, which is available for Windows, Mac and Linux computers. If you’re using Mac OS X Lion, download Avidemux 2.5.4 and refer to these steps to get it running. Press save and enter a location and filename for your new video file. Don’t forget to add the .MP4 extension. After Avidemux has remuxed your file, it’s ready to be played on your Roku; both over USB and using Plex’ Direct Play feature. MKV is the norm for high definition video content. Usually, these files have a 5.1 surround sound audio track. There are two issues with these 5.1 audio MKV files. The main issue lies with Dolby Digital and DTS audio. These files only work over USB and the audio is only supported via pass through. This means Roku won’t help you out if your system doesn’t support 5.1 DTS audio. If you’re a big fan of using Plex’ Direct Play, there’s a second issue. Plex has issues playing any MKV with 5.1 surround sound. 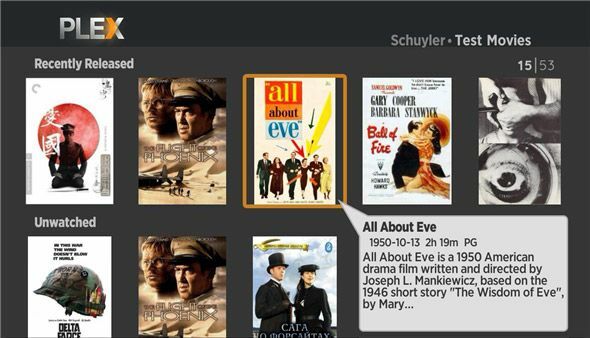 If your media server is beefy enough, Plex will transcode the media instead. Again, we can keep the video stream intact to keep the conversion time to a minimum. This time, we need an application able to remux MKVs and convert the audio track. MKVtools for Mac OS X and XMedia Recode for Windows are the perfect tools for the job. 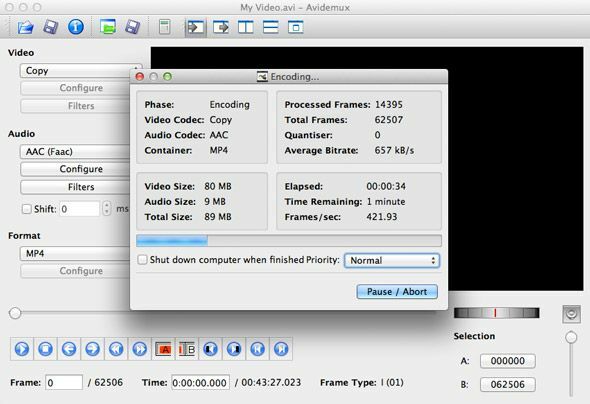 Avidemux, discussed above, is a good multi-platform app also capable of handling MKV files. The screenshot above is from MKVtools, but the process is highly similar in all three applications. 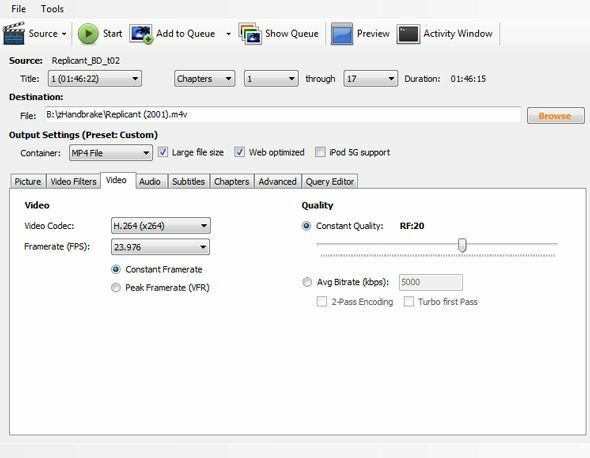 Open the MKV file in your application of choice and, if necessary, select all video and audio tracks. To keep the video stream intact, select Copy or Pass Thru for the video options. You’ll want to convert the audio to a different format. If you were having a problem with Dolby Digital or DTS, convert to AC3 (5.1) to retain the surround sound with better compatibility. 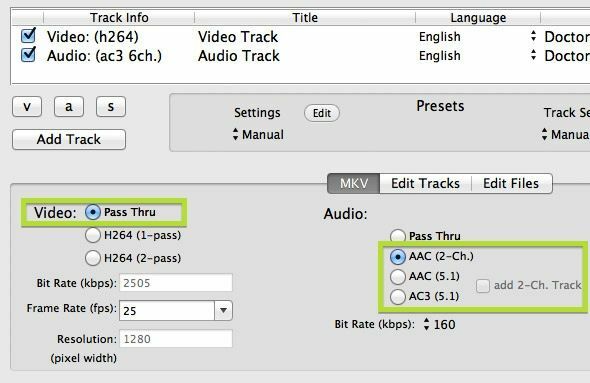 If you were having a problem with 5.1 surround sound in general (because your hardware can’t handle it, or because you want to use Plex’ Direct Play), convert the audio to 2-channel (stereo) AAC. If your media issues don’t fall into the above two categories, you can either transcode (see below) or convert your media. Handbrake is a great application to convert video files, available for Windows, Mac and Linux computers. In fact, Windows users can even use Steve’s guide to watch your folders and automatically convert your videos with Handbrake. As mentioned before, Plex is one of the most effortless ways to enjoy your media on the Roku. You’ll need to set up a Plex media server on your computer and install the Plex channel on your Roku, after which you’ll be able to stream your media across your local network. Plex’ Direct Play, which simply passes on your video to the Roku, requires your video to respond to Roku’s supported files. For that, you can refer to the three options above. If your media server computer is strong enough, you can skip the converting and simply transcode your media. Transcoding is essentially the same as converting, except that it happens on the fly. You don’t need any preparations, as Plex will automatically convert the video while it’s playing. You do however need a sufficiently powerful computer. What format is your media in? Are you converting or remuxing your entire library, or do you plan to transcode? Let us know in the comments section below! Google Home Hub Review – The Best Smart Home Assistant?